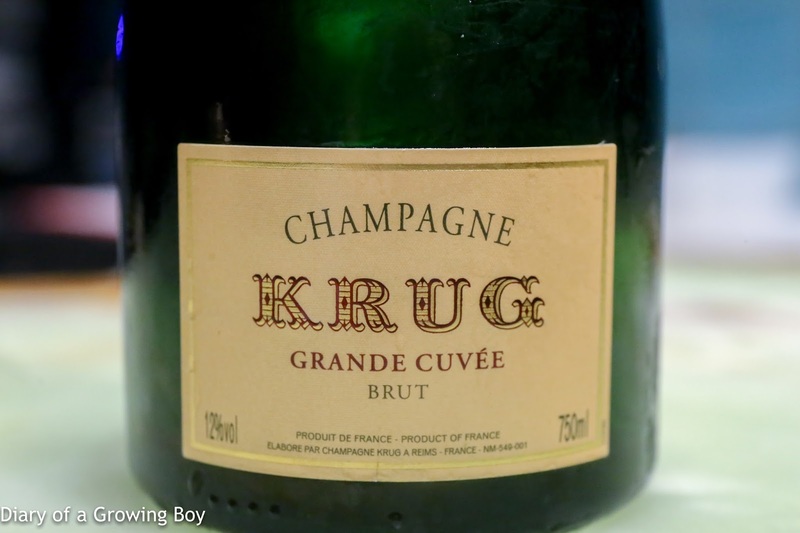 Krug Grande Cuvée, 161éme édition, ID 412044 - initially more lean and light than expected, but still delivered a nice and toasty nose. 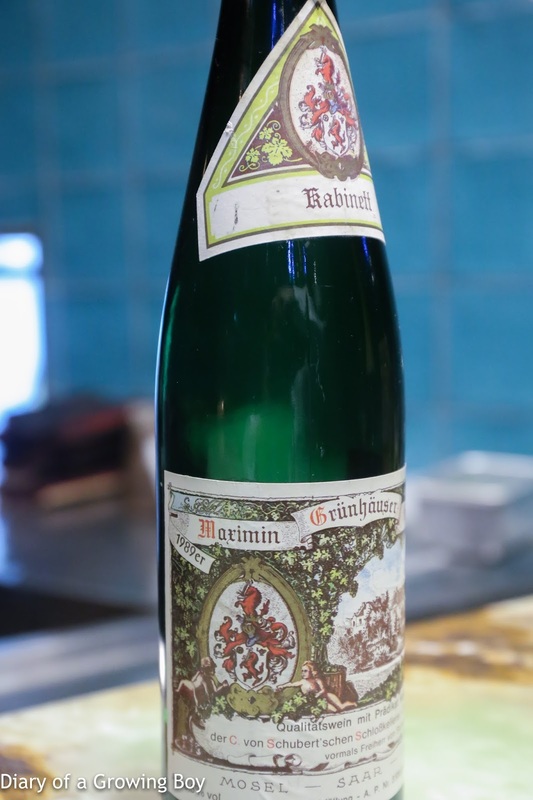 1989 von Schubert Maximin Grünhäuser Herrenberg Riesling Kabinett - pretty dry on the palate, but definitely mature. Polyurethane notes on the nose. Later this turned pretty ripe and mineral. 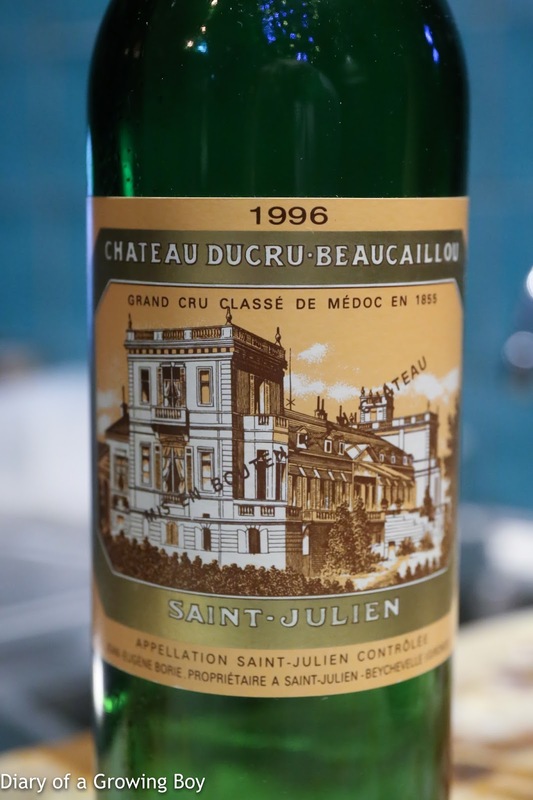 1996 Ducru-Beaucaillou - served after almost 2 hours in decanter. 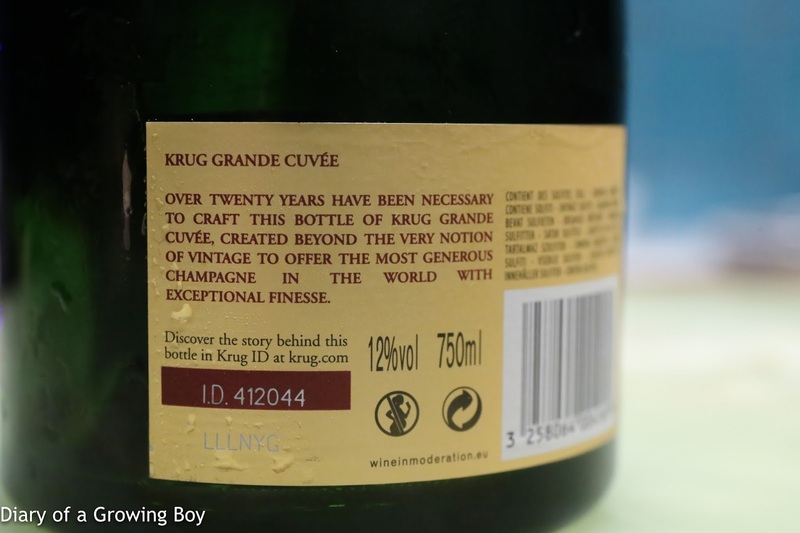 Classic left bank, with smoky notes. 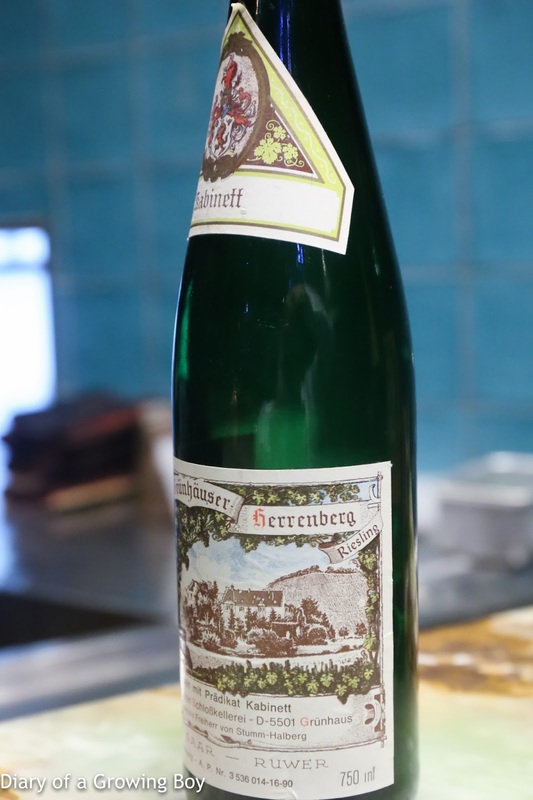 Showing more fruit with the second pour a half hour after the first, along with earthy notes. Good acidity with velvety tannins.